MEMPHIS, Tenn. — A Christian-identifying church in Tennessee that is a part of the Acts 29 Network recently celebrated their 15th anniversary with offerings that included revelrous, club-like dance parties as the audience bounced, jumped and swayed to secular hits like 69 Boyz’ “Tootsee Roll” and Mark Ronson’s “Uptown Funk” spun by its young adults pastor—videos of which were also posted publicly to social media. Fellowship Memphis held a series of parties throughout the city this month, including at the Crosstown Concourse, the Railgarten and Levitt Shell. The events included food, a silent auction and a variety of music, including a jazz quartet, soul music, and two dance parties. “Hey Fellowship Memphis. Can’t wait to party with you right here at Crosstown Arts,” lead pastor John Bryson said in a video explaining the event at Crosstown Arts, which he noted would include a dance party with J.D. Wilson, Fellowship’s young adults/connections pastor, who is also a disc jockey. “We’ll start our dance party right around 8:30, 8:45 or so. We want everybody to sprint to the dance floor and we’re going to have a great time, a fun night,” Bryson, who holds a doctorate in leadership from Gordon-Conwell Theological Seminary, said. According to the site Soul for the City, an organization that seeks to “recruit potential outreach workers and place them in urban ministries throughout Memphis,” Wilson says that he uses block parties and dances, among other means, to reach the youth for Christ. “Our main goal is to help students develop as whole people—reconciled to God and using their gifts and talents to change the world. Each day we host after-school programs aimed at providing kids with exposure, experiences and role models. Whether it’s an evangelistic block-party style club like Club 61, dance, or garden club, everything we do is filtered through those three lenses,” he said. On Nov. 16, Wilson and others created a club-like atmosphere at Crosstown Arts as Fellowship Memphis celebrated its 15th anniversary. A number of online videos show a large crowd—mainly, but not exclusively, comprised of young adults and teens—bouncing, dancing and swaying to the beats as the dance crew and emcee led members to bust a move from the stage. Some of the videos were uploaded by members, and some were shared by the pastors and/or posted to the Fellowship Memphis social media pages. “#fm15 Fellowship Memphis Anniversary par-tay. Hit the volume. I love our people,” one Facebook post from a member reads. Another video shows a number of the dance party crew on stage dancing wildly and citing the 901, referring to Memphis. 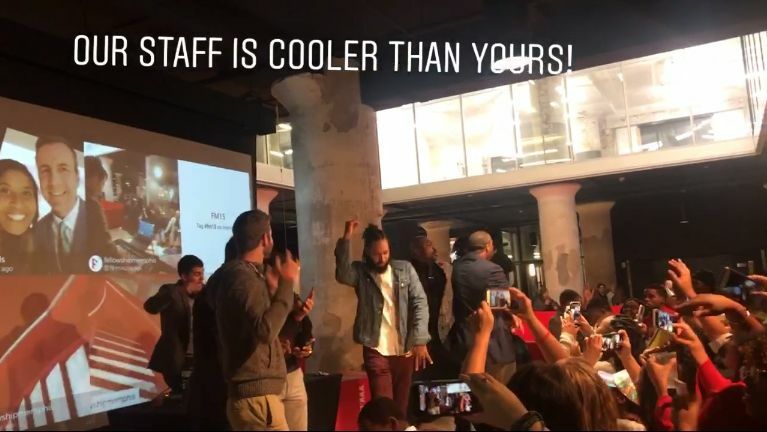 “Our staff is cooler than yours!” a caption over the video reads. Wilson, who d.j.’d the event, mixed dances that included “The Tootsee Roll” by 69 Boyz and “Uptown Funk” by Mark Ronson. “15 years of @fellowshipmemphis and we threw a massive party to mark the moment! Such a fun night celebrating together with our faith family by turning [it] ALL THE WAY UP!” Wilson tweeted. A video published to the Fellowship Memphis YouTube page on Nov. 19 also spoke of a “family dance party” being included at the church anniversary celebration at the Railgarten. Fellowship Memphis is a part of the Acts 29 Network, a “global family of church-planting churches,” which was founded by Mark Driscoll, former leader of the now defunct Mars Hill Church in Seattle, Washington. It is currently led by Matt Chandler, who oversees The Village Church in Flower Mound, Texas. 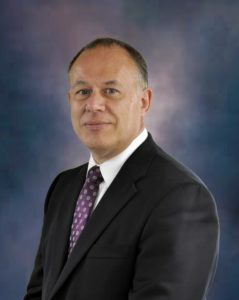 “The whole atmosphere and the behavior of those involved speaks of the world and not the church,” Stephen Hamilton, pastor of Lehigh Valley Free Presbyterian Church in Allentown, Pennsylvania, told Christian News Network. Speaking generally, Hamilton said that he sees a trend among churches to offer activities that are man-centered and not God-centered. Christian News Network reached out to John Bryson and J.D. Wilson, but no comments were received by press time.